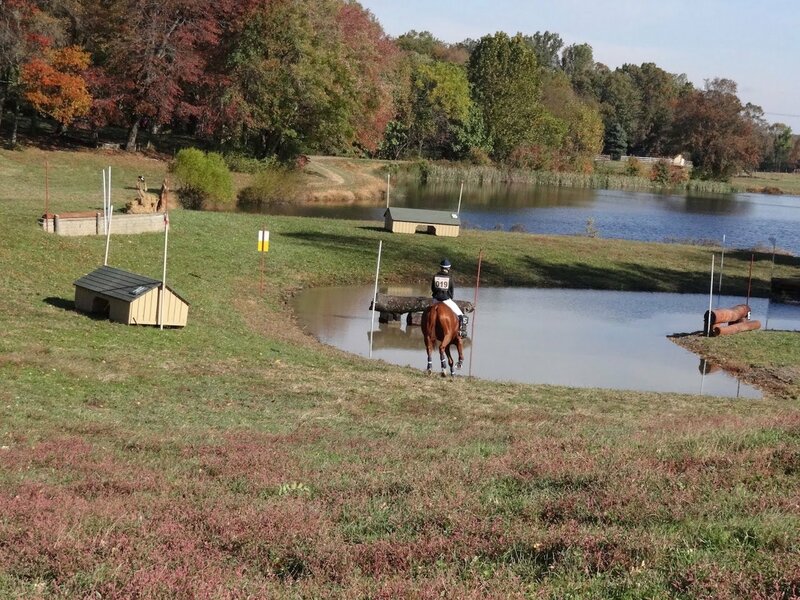 Eventing could be termed an “equestrian triathlon.” It involves working with a horse both on the flat and over fences. The three phases are: dressage, endurance (or cross-country), and show jumping. Over the centuries it has developed from the test of the ideal military charger.Eventing has now evolved into an exciting sport attracting interest from all levels of sports enthusiasts, from weekend hobby riders to professional international stars. Three weekends each year, Waredaca hosts United States Equestrian Federation sanctioned competitions–late May/early June, August and late October. These dates are scheduled in accordance with the USEF national schedule. The Waredaca Horse Trials, also termed ‘event’s, attract competitors from New England to the Carolinas. Often “big time” riders of Olympic fame ride their less experienced horses here as part of their educational experience as they advance to the higher levels of the sport. Horse Trials are major competitions that feature the three phases of dressage, cross country jumping and show jumping. The lowest penalty score of the combined three phases is the winner! Want to learn more about the sport? Check out the United States Eventing Assocation website at www.useventing.com.